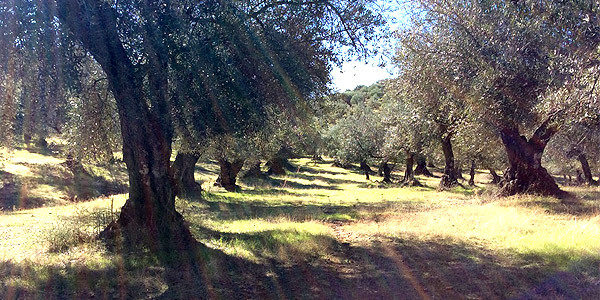 La Favorita is and old "cortijo" in a 30 Ha plot with old olive threes, chesnuts, oak trhees, etc. 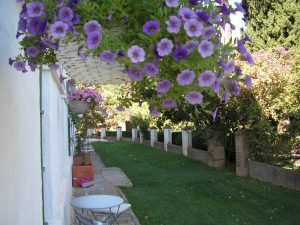 Located in the heart of Sierra Morena, in a Natural Park of Sierra Norte de Sevillaand Biofere Reserva by UNESCO, is a quiet place with absolute privacy, with a sunny and soft climate. 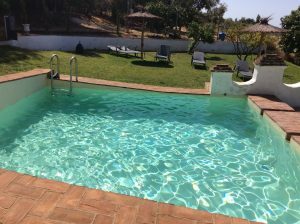 The finca has a principal cortijo of XIX fully renovated in 2016 in a sligthly raised with perfect view above gardens and the Natural Park. 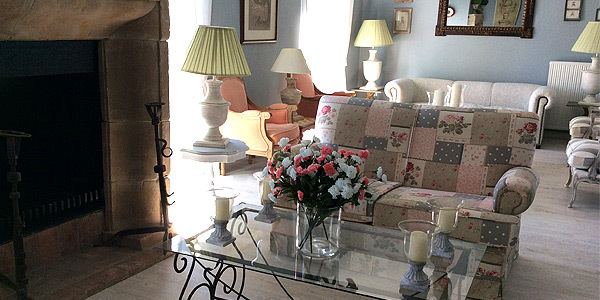 You will enjoy a warm athmosphere, tastefully decorated and all details you would expect in a charming accomodation. 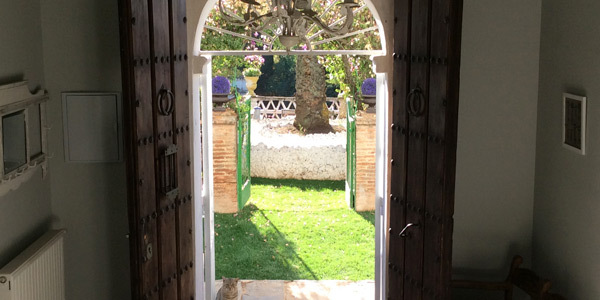 It has a 4 exclusive rooms with spectacular views , large windows and high ceilings, typycall of the XIX century. 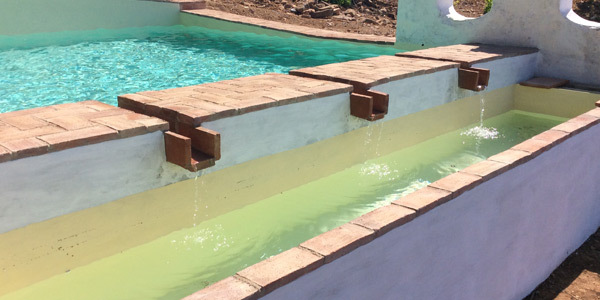 Old "alberca", now swimming pool. 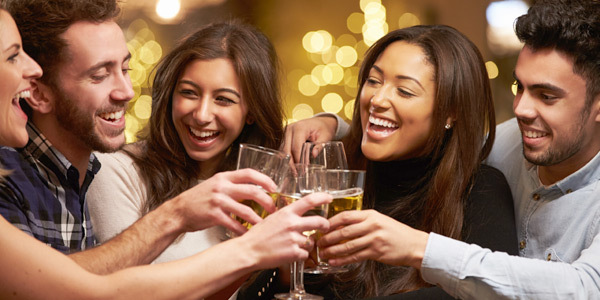 To ensure the rest of our customer, all the facilities and services are exclusive use for our guests: Two living room wih an old stone chimenee wih Honesty and possibility of dining, Daily cleaning of the room, Local tourist information. 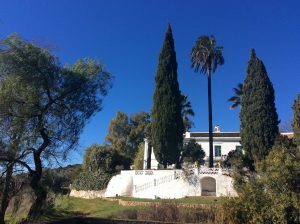 In the exteriors of La Favorita you can enyoy quiet walks through the olive trees, cork oaks, chestnuts, etc sorrounding the finca. You can also spend lazy afternoons reading a book while enjoy the landscape. If you like the wild life, in the beautiful and big garden´s pond, with a roman origin dated, you can observe eagles, birs, and little animals like turtles, frogs and another amphibian animals. Cipres ” El Abuelo”, a punto de cumplir 175 años de edad. Pond in the garden that houses the water required for irrigation of orchards and farm organic fruit.